Axo develop, manufacture and distribute apparel, footwear and accessories for motorsport and cycle riding, for every level of riding skills: from beginner to champion. To help riders achieve and go beyond their limits in sports, thus better defining who they are as persons and enrich their lives and well being through the activity of those sports. The Axo S27 Pro Motocross Gloves XS Black are part of the latest Axo collection. 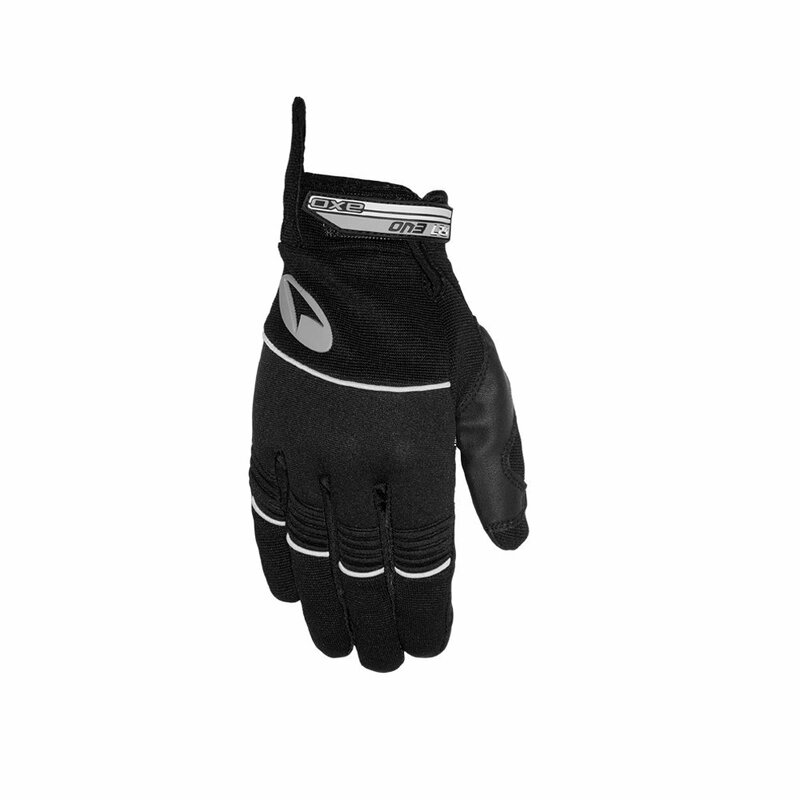 Textile glove with synthetic leather palm. Stretch material on top and neoprene ribs on fingers to ease the movements and for a better comfort. Silicone inserts on fingers for a better grip. Cuff closure with Velcro. TPR logos.